Canada’s new Food Guide suggests affordable diet options, but requires students to be more food literate, according to registered dietician Charles Ko. Ko graduated from Ryerson’s nutrition and food program in 2017 and is now an in-store dietician at Loblaws. The food guide encourages Canadians to cook more often to develop healthier eating habits. Ko said the new guide is great for Canadians because it is more approachable. The guide, which was released Jan. 22, ditches the concept of serving size and no longer has four main food groups. Instead, a plate is divided into three sections. Half the plate is dedicated to vegetables and fruits, one-quarter of the plate is for whole grains, and one-quarter is for proteins, such as meat, fish, or lentils. It focuses on a plant-based diet and encourages water to be a drink of choice. This is the first time that Canada’s food guide has been updated since 2007. Angelea Panagakos, a third-year nutrition and food student at Ryerson, agrees. 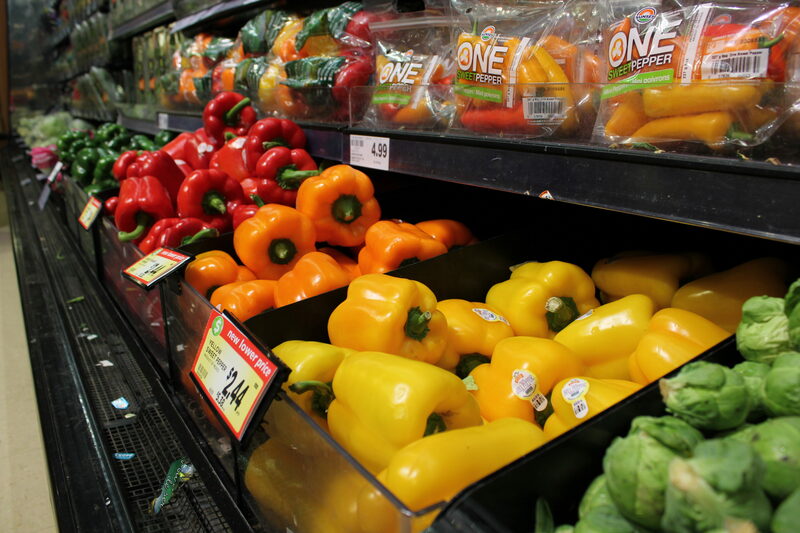 According to Canada’s 2019 Food Price Report conducted by Dalhousie University and the University of Guelph, vegetables will be undergoing the greatest price increase. Vegetable prices will go up about four to six per cent, while meat prices will begin to decline. The report claims that this increase may be due to a spike in the number of consumers who are reducing or eliminating meat from their diets. Ko said the guide can be cost-friendly if you know where to shop in the grocery store. Most stores like Loblaws and Metro have a half-price produce aisle. These aisles house products marked down because they are approaching their expiry date, but are still good to eat. 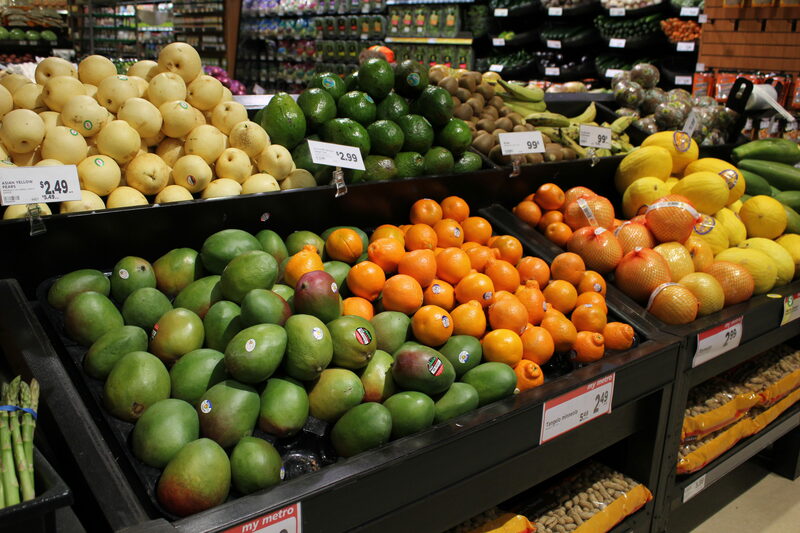 Ko often tells customers to shop for fruits and vegetables during their peak harvest season. “If you’re gonna do something like a meatloaf or a brown beef sauce, you can always substitute 30 per cent of the meat and replace it with lentils, which is more economical and also a lot healthier overall,” he said. Some students feel that the new food guide is affordable, especially for those on a budget. “I’ve been vegan for the last 12 years and I consistently spend less on food than my omnivore friends,” said Hannah Stahl, a fourth-year nursing student at Ryerson. “Lentils, beans, rice, in-season and frozen veggies, are among the cheapest ingredients and I’m splurging if I spend more than $25 on food in a week. “It’s not as easy to eat at restaurants when you’re on a plant-based diet, so it also encourages you to cook at home which is cheaper,” she added. Daniel Martinez, a third-year sociology student at Ryerson, says animal-based proteins can have negative economical and health effects. “Aside from the upscale plant-based eateries, plant-based foods are some of the cheapest foods in stores compared to less nutritious animal-based protein that is more popular but comes with an increased risk of a number of food-related illnesses that actually end up costing more to deal with in the long run,” said Martinez. Although the new guide is affordable for some, food insecurity still affects many students at Ryerson. According to the Good Food Centre’s annual Hunger Report, the centre had a total of 3,224 visits among 282 members between July 2017 and June 2018. The report additionally states that 28.6 to 39 per cent of Canadian post-secondary students experience food insecurity. The Good Food Centre is operated by the Ryerson Students’ Union. It helps to reduce the impact of food insecurity on campus by providing students and faculty with essential food items. The centre orders food based on the needs of its members. Harnoor Gosal, a co-ordinator at the Good Food Centre, said many students on campus do not have access to food banks or they are not aware of the support Ryerson provides. Maria Jude, a fourth-year nutrition and dietetics student, runs a group called Ryerson Students for Food Security. It aims to empower individuals to inspire social change and alleviate food insecurity. She says that food insecurity is a growing issue among post-secondary students. Debbie Field is a distinguished practitioner at Ryerson’s Centre for Studies in Food Security (CSFS). The CSFS works to promote food security through research, education and community action. Field said the new guide should make finding affordable food easier for students, not harder. Hear what Field has to say about the new food guide. Story continues below. Field said she couldn’t believe how much she spent on a salad and sandwich at one of the retail outlets on campus. She said although this new guide is not a food policy document, it does encourage Canadians to eat a certain way. Both Field and Ko say it’s important to keep in mind that this is just a guide.